Our first year of parenting with a high need baby was difficult. I mean really difficult. I mean depressingly difficult. I know everyone says that having a baby is a challenge, but it truly was depressingly difficult. I was bewildered by this precious gift from God. I wasn’t a stranger to babies. I had done copious amounts of babysitting, including the baby next door starting when she was a week old. I had worked as a teacher. I had spent lots of time around children. I like babies and babies always like me. After all that experience and years of praying and asking for a child, I was not prepared for the one I received. I did not realize Caroline was a high need infant until long after the fact. I chalked it all up to us being new parents, exhaustion, sleep deprivation, the winter doldrums, being an older mom, being a bit of a perfectionist who likes things just so, etc. I so wish I had found these resources the first few months. I truly believe our first year as parents would have been much happier. Our daughter fits the descriptions in the Dr. Sears articles below to a tee. 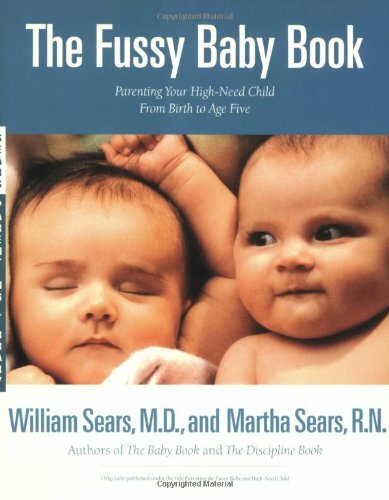 I can’t begin to tell you how freeing and affirming it was to read Dr. Sears talk about his own high-need baby. He was an experienced parent who also found himself bewildered by this child who was so much more than the others had ever been. When I say that I understand what you are dealing with, I truly mean that. If you have a high need baby, I know how hard it is. I know that other people don’t understand why you can’t make the baby do what you want it to do. They don’t understand. I understand that. You are not crazy! Your baby IS harder to parent. I can also tell you that it does get easier. We invested so much physical, emotional, and spiritual energy into figuring out our daughter. I’m not going to lie. The first four years were tough. Each year it was a little easier, but when she was around four it reached a tipping point where it got much easier much more quickly. We are now reaping the rewards of that. She’s eight and a half nine ten eleven twelve now and it is so much easier. She’s a delightful little girl young lady. We learned what works with her and what doesn’t. It does get easier. You will get through this! I hope you find the information below to be helpful. Please feel free to leave a comment if you need to dump on someone. I would consider it an honor to help you vent your frustrations. I will do my best to respond to each comment on this page because I know how hard it is. Hang in there! Better days are coming! Please note: The following links are to interesting and thought-provoking reading. The inclusion of a link is not an endorsement of all its content or the content of the site on which it is found. I soooo wish I had discovered these books sooner than I did. 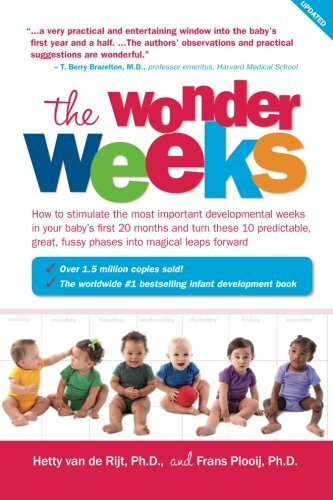 The Wonder Weeks book is fascinating and I could see how it played out time and again in our family. Just knowing there was a reason behind the extra fussiness was incredibly helpful! If you go through all the different topical pages on my site, you’ll notice that this is where I usually share my own posts about the page’s topic. Please note there is nothing here. 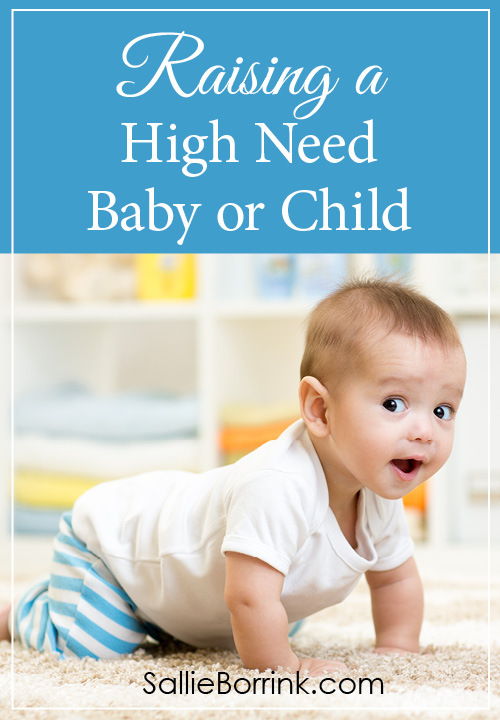 That is how much having a high need baby derailed my writing on my website. I was in sleep deprived survival mode. I couldn’t figure out what to write because I was so overwhelmed and bewildered. I wrote very little during the first year and nothing about babies because I had no idea what to say. 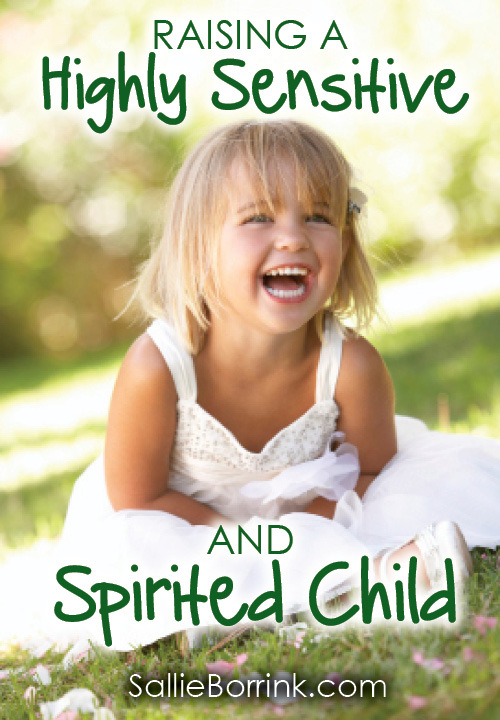 You may also find my Raising a Highly Sensitive and Spirited Child page helpful! I love this article, Sallie. I’ve had a few high needs babies, and now a HIGH NEEDS toddler. She seemed to be an easy baby for me, but maybe I was more in tune with her, and was able to anticipate her needs better? Nowdays, oh, boy. She is a handful. She’s teaching me grace and patience in parenting, every day. I just found your blog tonight. I’m no longer in the baby stage. I commented on the post you had about home schooling in the afternoon. My daughter has been high need for her entire life. She was in ICU for the first few days of life, her pediatrician saw her at 5 days old with colic already and bright eyes. He said that she was the most alert 5 day old he had ever seen, and many things were stressful from there. It got easier for us at age 4 as well. Dr. Sears books helped us a ton in those beyond tough years, yet I hadn’t seen some of this. She will turn 6 at the end of the month and is still a highly sensitive child. Seeing so many similarities already between our stories, I cannot wait to read more of the blog. Thank you in advance for writing. You are a few years ahead of me in this journey and I’m thankful for these bits of encouragement. I had been feeling alone in my experience, but now I see this blog and it’s like having a friend who understands! I hope you come by often and join the discussions we have. 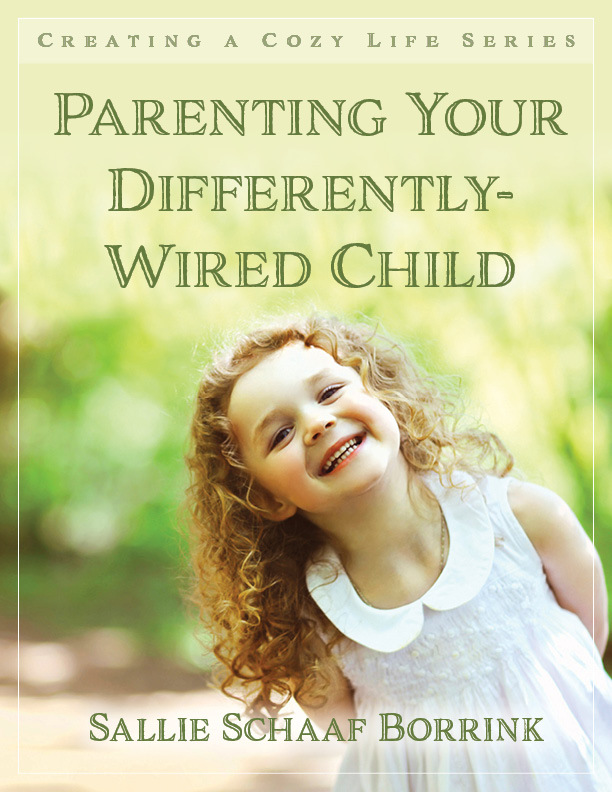 One of the main reasons I write this blog is to encourage other parents who are going through the challenges of raising a child who is outside of the average range. We’ve recently realized that Caroline is also gifted so now we are working on that. We always knew she was bright, but weren’t in a rush to have her labeled as gifted. But we’ve reached the point where we know it’s true beyond a shadow of a doubt and we have to determine how to best meet her needs in the midst of all of the other needs in our home (my health issues, business, etc.). Life is certainly an adventure! LOL! I gave birth to my son in 2009 two days before I turned 36. He came along 9 years after my middle daughter. My pregnancy was high stressed and I feel that was a big contributor to his fussiness. He literally cried everyday for 2 1/2 years. I had no one to help, my husband worked long hours and extended family worked or didn’t want to be bothered. I became so down and depressed. I prayed everyday to God to give me strength to make it through. Somehow we made it and he is the most loving four year old but still high needs. Now I pray to God for energy to keep up with him. 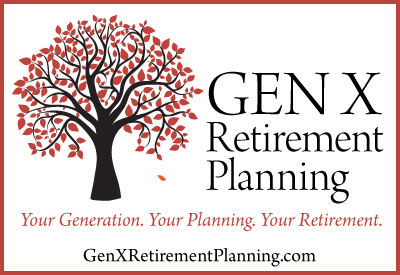 Thank you for this post and the attached resources! I have a 2.5 year old little Miss who is very (very) high touch and has been since day one. I have “well meaning” family and friends who have made me feel like a failure, like I made my child this way. When you hear it enough you start to believe it. In fact, I had a mini melt down just yesterday about not wanting to feel that I was responsible for her high needs any longer. Finding this article this morning was Devine timing (I was searching for homeschooling stuff when I found this!). I know that God gave me the child he gave me on purpose and it wasn’t to punish me! I LOVE my sweet girl, she is so awesome! So what if I have to rock her to sleep, so what if she still sleeps with me and is practically attached to me (and my breast) like Velcro everyday! Why does it need to be someone else’s problem? 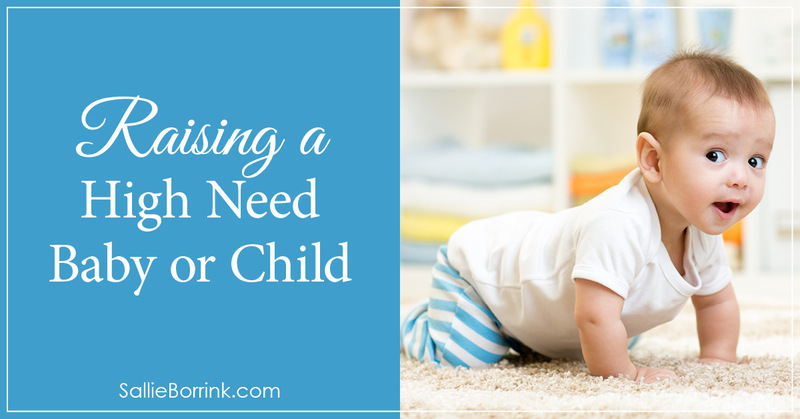 What I need as a parent of a high need toddler (and being a deep introvert myself!) is understanding, support, help, and the freedom to be out of the box! Thanks again, and I also can’t wait to dig into your homeschooling articles! Welcome and thank you for taking the time to leave a comment about your experiences. I can relate to your comment about our children being a blessing. It’s so important we keep that frame of mind when things are tough. We rocked Caroline to sleep until she was two and a half or almost three (?) if I am remembering correctly. Like most spirited children she has a hard time settling down and going to sleep no matter what kinds of bedtime routines we tried. And we tried them ALL! LOL! Even now at almost eight, her little mind takes a long time to settle down so she can go to sleep. 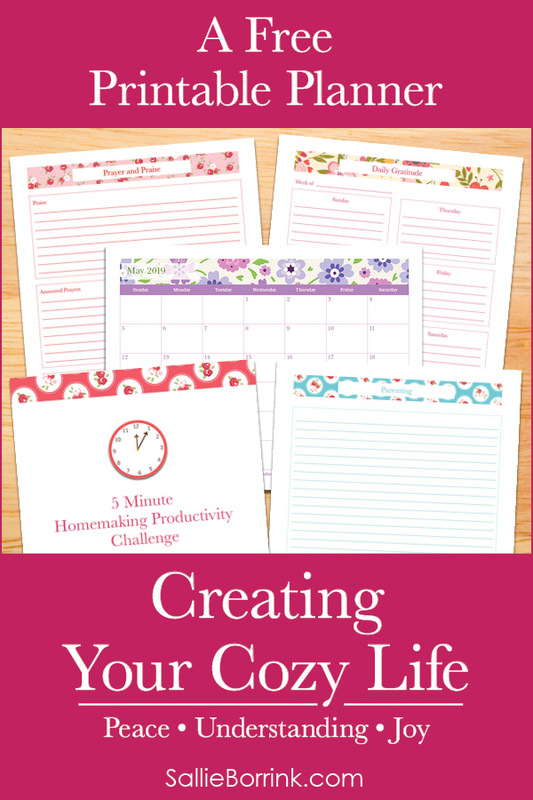 I just last night uploaded my free ebook for subscribers. 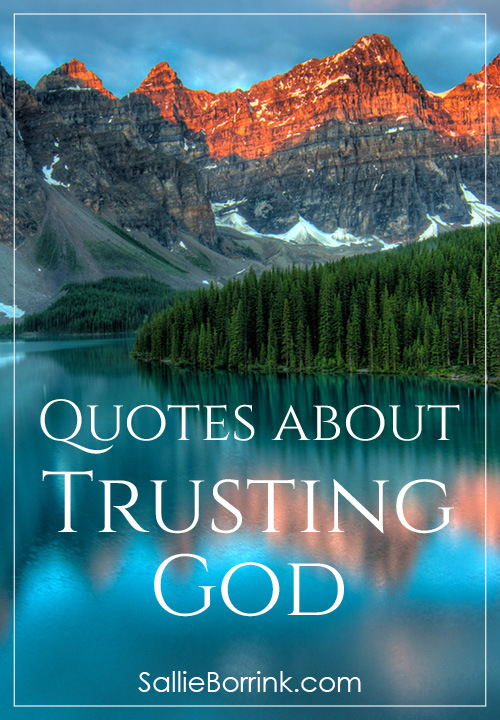 If you are willing to subscribe to my blog, I think you will find the book encouraging. It’s just the tip of the iceberg in terms of the topic, but it is a good start. I’m also going to be doing the 31 Days of Learning Differently in October. (See graphic in sidebar.) I think you’ll find a number of those posts to be encouraging as well since they will be about not just homeschooling but parenting as well. To all your readers out there…My daughter was a “fussy baby” I was so lonely and depressed after quitting work to care for her. I started looking for a job just to get away. I cried and prayed every day as I spent hour upon hour walking back and forth across the living room floor or spending hours nursing. I was the only one who could hold the baby. I got a babysitter once and she cried for three hours. As soon as I came home and picked her up she stopped. It was the most difficult year of my life. I thought I’d have a baby, love them and they’d grow up! Surprise. 23 years later my daughter is sensitive, loving, compassionate and a good friend. She is a PhD candidate. Don’t stop loving your “fussy baby”. My theory is that their brain is way ahead of what their body is able to do. Even when it doesn’t feel like it, you are blessed to have a child that needs you! how do u deal with those comments? I’m sorry it has taken me so long to respond! I am a passionate believer that God gave your baby to you for a reason. You have to do what you believe is best for your baby and ignore people who don’t understand. Research and read and then make your own decisions. We rocked Caroline to sleep for years. It was the only way she would go to sleep. If your baby likes to be walked to sleep, then walk her to sleep. I know how hard it is when a baby is so demanding and no one understands. Just do what your motherly instinct tells you is right. NO ONE knows your baby like you do. Study your baby and give her what she needs. I remember going to bed at night and laying there, staring at the ceiling and feeling like my life was over. I had no time or mental energy for anything meaningful for me the first year in any significant amount. It DOES get easier. Keep reminding yourself that the goal is to help your daughter learn how to channel all that determination as she gets older. Focus on developing a positive relationship with her every step of the way. My daughter is ten now and she is truly a delightful person. We have a great relationships. She’s still strong-willed and it takes a lot of work to keep up with her. But she’s kind, thoughtful, creative, and has a strong sense of all the unique ways God has created her to be. But we got to this point one day at a time and many of those days/weeks/months were tough. Hopefully you can get a break. Is there even a way to hire a mother’s helper to come to your house and play with her for an hour or two once or twice a week? We started out with girls who were too young to babysit alone but were great to come to the house and play with my daughter while I did other things. Thanks Sally for your comment! Things has gotten a bit better since I’ve written on here. My daughter is almost 19 months old now and her temperament is a little easier to manage. She still has her tantrums when she doesn’t get her way, and while she’s teething (she only has 6 teeth). Since I’ve written on here, my daughter has become VERY sociable with other children. She really enjoys it especially being around my cousins girlfriend’s niece who is close to my daughters age. However, we still breastfeed and co-sleep. After my daughter turns 2, I really feel I should stop breastfeeding. She still acts super clingy but I don’t want to disturb her innate development. I knew my youngest was very different than his older brother. I just didn’t have a label for it. Dr Sears articles were excellent too. Thanks for posting. It sure has put me at ease. I’m glad you found this article and it was encouraging. I had Caroline when I was almost 40 and she’s my only so I was pretty sure I was a terrible parent for a few stretches. I’ve heard from very experienced parents who thought they were great parents until they had a particular child. Then they humbly realized they weren’t necessarily great parents. They got easy to parent kids. LOL! Best wishes with your son! I’ve been confused on and off since our Amy was born. She’s nearing 20 months. I have read the Dr. Sears articles, found those when she was under a year old, but while that sort of helps, a part of me is never sure if it’s me, if it’s her, or what. We adore our little girl but the thing is, she is given so much love, affection, and devotion. I am with her every day, and she even sleeps with us at night, which certainly wasn’t our plan, but it was the only way she would sleep – maybe you will understand when I say: She will not be away from us! As for sleeping, we never did the “cry it out” thing because I could never let her suffer. Amy doesn’t “wind down” if you let her cry. She will keep going and get hysterical if I can’t reach her in time to soothe her. She wasn’t a baby who cried all the time, but that was because she was given tons of my time. If she ever cried, she would stop crying immediately on my picking her up. She’s very bright, affectionate, agile, strong, hilariously funny, and oddly “independent” while at the same time being the clingiest child I know, since birth! Nobody else could hold her since age 4 months, when she developed the “stranger anxiety” early, and that was it. We planned to have sitters so we could go out together once or twice a month but I quickly realized if we tried that she would be traumatized. We have zero relatives around and none who would help anyway. Our parents all passed away. My dad was our last living parent, and when she was 3 months old, was diagnosed with a brain tumor. We live far from everyone, we love where we live, but moved here not long before she was born and don’t have close friends here. We do plan to homeschool her. We do have nice neighbors on all sides of our property, but not close friends. She hated the car until recently when she got better in it. We still don’t go on very long trips. She slept terribly, TERRIBLY, until suddenly at 17 months, after her canines came in, and now she only wakes maybe twice a night usually. She still nurses like a newborn. That wasn’t the plan, but she had her own plans, which included refusing bottles of pumped milk, and nursing round the clock. Even though I believe in raising kids with healthy boundaries and rules, I can’t and won’t try to knock the Amy out of Amy. As I read, I learned extended nursing is super healthy for children, and would have been the norm through the history of the world, and even in the bible there was some mention of it. In fact it is apparently the biological norm for all primates, and for humans. Anyway, I have been at the end of my rope sometimes as she goes in and out of phases, some easier and some harder. I don’t know how to do this without losing my cool. I’ve never been bad-tempered but lately I get so angry sometimes. My husband and I are so affectionate, and so loving, and I give her so much and can’t believe that it is STILL never enough! A few months ago, she again stopped playing with her toys alone, and only wants to be around me (or my husband). Only out in the garden will she play for long periods of time… but still runs amuck. But if you could see her, she is the cutest thing ever. How to I do this well, manage to enjoy it, and stay calm?!?!? PS… I think I was a high needs baby too. My mom said I was more difficult than my four siblings. She said I cried more and nursed way longer than my siblings (until nearly age two) etc. She said I turned out to be very nice and helpful. That’s all I can remember as she has been gone for many years and was senile long before she went (MS). Wonder if it’s a genetic thing? Sometimes I wonder if it’s because I had some stressful periods during pregnancy. 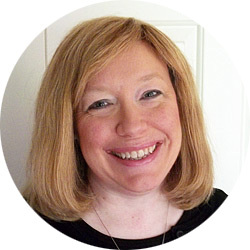 PPS I am 42 but don’t feel old or tired at all, have always been energetic. She is our only, and we are on our own out here, so I have nothing to compare her to. I could relate to so many of the things you shared. Oddly independent + clingy. Yes! I get that! Never enough attention? Yes, I get that. It’s so hard when it’s your only child because you have nothing to compare her to. I have had several moms tell me they thought they were great moms and couldn’t understand moms who struggled with parenting until they had X child who completely humbled them because he/she was SO different and SO much more challenging that the first or others. I’m just finishing up a major update of my subscriber ebook. I’m hoping to have it ready by the weekend. I hope you’ll subscribe to get it. There is also lots of reading on my site. I don’t have all the answers, but I can help you feel like you aren’t alone. It will get better, but it is hard sometimes. Hi, I tried to subscribe to your e-book but there must have been a problem with the site because I never received any email after clicking the subscribe button. I will try again, thank you! It’s a double-opt in (for legal reasons) so once you hit subscribe you have to confirm it by clicking on a link in the email that comes. I can see from the email you provided when you left a comment that you have a gmail account. For some reason, gmail often sends those emails to spam or the promotions filter. You could check those. Otherwise, I can try to manually push your subscription through. Just let me know! I checked my mailing list and I don’t have any record of your email address. Perhaps try again? I just started crying. I was looking for hope and I feel so crushed and defeated with my toddler. He turned 2 last moth and we had a full week of getting along great and then his behaviors picked right up where they left off. He does not want anyone, other than me. I get no breaks. There is no one to watch him because he will scream the entire time that I am away. He does not want his dad, siblings, uncles, aunts, cousins, grandmother, no one! I would like to try to leave him with someone for a few hours a day, but I do not know what is the best way to do this that will keep him from crying, screaming and hitting himself. Oh, did I mention that he does not eat, either. He only wants to breastfeed and has never and still refuses to drink the milk that I pump. Waiting until he is 3 or 4 for some relief is not hope for me. This entire experience has not been something that I would wish on my worst enemy. He is my fourth child and I have never had such a negative pregnancy and parenting experience as this. He is such a wonderful little soul, but he even refuses to play with his cousins his age or interact with other children at all. I just am so sleep deprived and at times that I do not even know what day it is. He screams while I am in the shower for just a few minutes. He is just overly attached to me and I have to always be with him or he is hitting himself and screaming and crying. I don’t know if this will make you feel better but my daughter was much the same way when she just turned two. She just turned 3 last week and she is definitely becoming more independent. She also nursed constantly. She slept terribly (!!!!) until 2 years 5 months. Remember he may be teething, she had all her teeth by 2 years old but still slept badly until I wrote a kind of story where I put pictures of her and I and made it very positive about her being able to sleep because she’s always safe and I always love her and I’m always there. It’s kind of like the power of suggestion, psychological reassurance. I got the idea from a popular kid hypnosis book but I personalized it for my daughter. It’s really pretty simple. For the record I have a diploma in hypnotherapy from an accredited hypnotherapy college. I should’ve thought of it sooner. Within days of me starting to read this book she started sleeping well and everything has been better since. She used to wake me up sometimes a dozen times a night, I swear I don’t think I got more than three hours sleep consecutively for two years. It was brutal and I was becoming a very angry basket case for om sleep deprivation. Thank God I never hit her! Because I was furious from no sleep! She wakes once a night sometimes but goes right back to sleep. That is normal many toddlers wake up once a night to ask for water or something. The point is that some night she doesn’t wake up at all and frankly I can handle one wake up. It’s not a big deal. My daughter is my only child and we have no parents, (all passed away) no relatives or close friends nearby, although I am starting to branch out and make some friends as we are relatively new to the area. I do have a very supportive husband. I too could never leave her alone ever at all. It does get better, it will get better, take heart. If you need to talk just reply to the comment and I will reply to you. It is really getting much easier now. And she’s still clingy but I’m seeing all of these amazing parts of her personality come out and she really likes other people so much! She was terrified of all people (except my husband) until she was about 2 years old. Then she began to become less afraid of them and now she is SO social and friendly! She charms the pants off everyone she meets everywhere. She loves people! This child wouldn’t let anybody else touch her or even look at her without crying. Nobody could pick her up. So please, try to take her and feel better. Have a great week. A couple of questions… You mentioned he’s your fourth child so you know that his behaviors are out of the “norm” for you family. What does your pediatrician say? Did he/she recommend any kind of testing? Diet adjustment for you since you are breastfeeding? Have you ever taken him to a chiropractor? It can be challenging to find the right one, but I’m a firm believer a chiropractor can make a huge difference. Just a few things being off can create tremendous problems in the body and brain. You mentioned it was also a negative pregnancy. Was there something specific about it or the delivery? The hitting part would especially concern me even more than the clinginess. The other thing that stood out to me is that you had a good week so it is possible for him to NOT be this way. Can you think through what was different about that week and the days leading up to it? Again, because you breastfeed, did you eat differently? Have you kept a log of his behaviors and what you eat? Those are some things that I think of first. I’m so sorry you have to go through this. It is so hard when they only want a parent and no one else will do. But if your pediatrician has ruled that out, and it's not food allergies or sensitivities, then you may just be blessed with a high needs child. Dr. Sears and his wife Martha had eight children, (one adopted) and two of their own babies were very high need while the rest of their kids weren’t. 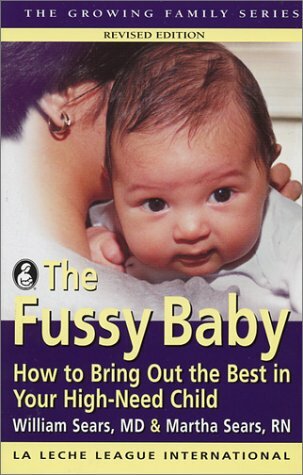 If you read his book “the fussy baby”, they had three kids and worked in pediatric practice. They thought the parents who complained about having needy, clingy, difficult kids just didn’t know what they were doing. Then they had their fourth child who was so clingy, breast-fed constantly, wouldn’t be left alone until she was four, (in fact she nursed until she was four), and coslept with them. All things that went against they are parenting philosophies, both as experience parents and as pediatricians. However they said they learned from it and the book is about their journey learning about parenting a “high need” child. I have personally met mothers who said, they had a child and thought they were great moms and other mothers were exaggerating and then they had a second child who was so high need they realized it wasn’t that they were such fabulous mother as it was that they had easy kids and that’s when they understood their friends or relatives who had high need kids. It’s possible that it’s just his temperament. Of course it is possible it could be something physiological. But if your pediatrician has ruled that out, and it’s not food allergies or sensitivities, then you may just be blessed with a high needs child. Thank you for your compassionate post. I had a high need baby who’s now a toddler and we didn’t know what hit us. I barely left the house for the first year. I was so isolated and no one understood what we were going through. That was the hardest part to let go of needing to get other peoples understanding. You are very welcome. People can’t understand what it is like unless they go through it. I’ve discovered people can be very judgmental about everything parenting, especially when someone does something they have no experience with and is out of the “mainstream” of parenting. It’s completely changed the way I look at other children and parents. I’m much more inclined to be compassionate now when I see other families struggle. Still not perfectly so, but that’s my default response much more often than not. Having a challenging baby definitely can change you for the good if you survive it. LOL! I’m glad you found this post helpful. No, you are not alone. On the plus side, since this is your second baby you know it is more about your child’s personality and needs than it is your parenting. Hang in there! You will get through this one day at a time. Just keep loving your little boy and know that it won’t always be this way.